Everything in the universe can be made from air, earth, fire, and water. Or, at least that’s the idea behind Little Alchemy. 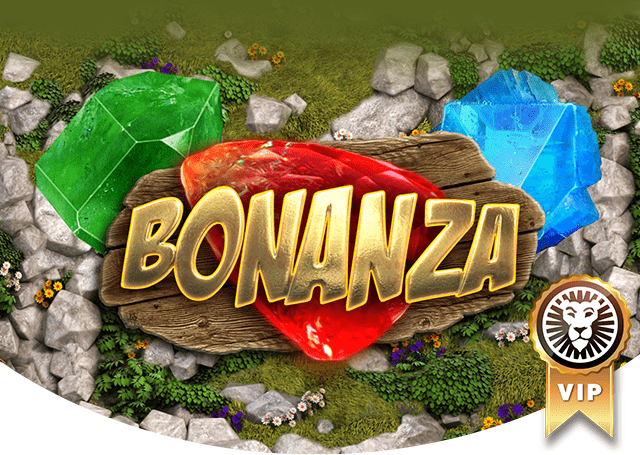 The casual puzzle game boasts virtually no learning curve. 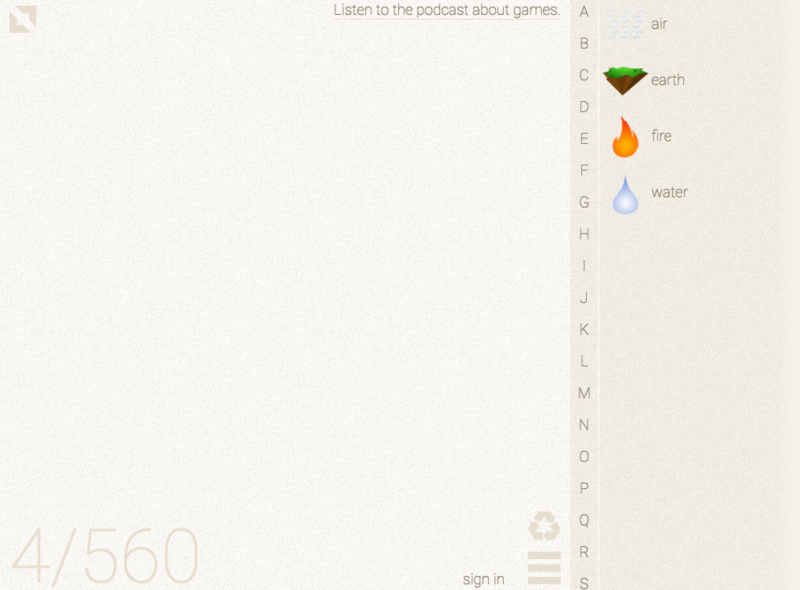 In fact, the gameplay is completely barebones: drag items on top of each other, and they may form new elements. If it’s that easy, why is it so hard to win? rect combination of more basic elements. For instance, mixing air and water results in rain. Then, you can combine rain and earth to form a plant. During the early stages of the game, these simple combinations are easy to discover and somewhat exciting to achieve. When you unlock an element, it doesn’t just raise the always-visible counter tracking your progress; each new element is the key to going further and unlocking a slew of additional particles, materials, and lifeforms. 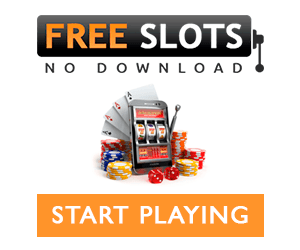 The most addictive games are almost always the easiest to play. One-button controls, quick action, and measurable progress are essential factors in keeping casual gamers entertained. And that’s exactly what Little Alchemy does: it entertains. 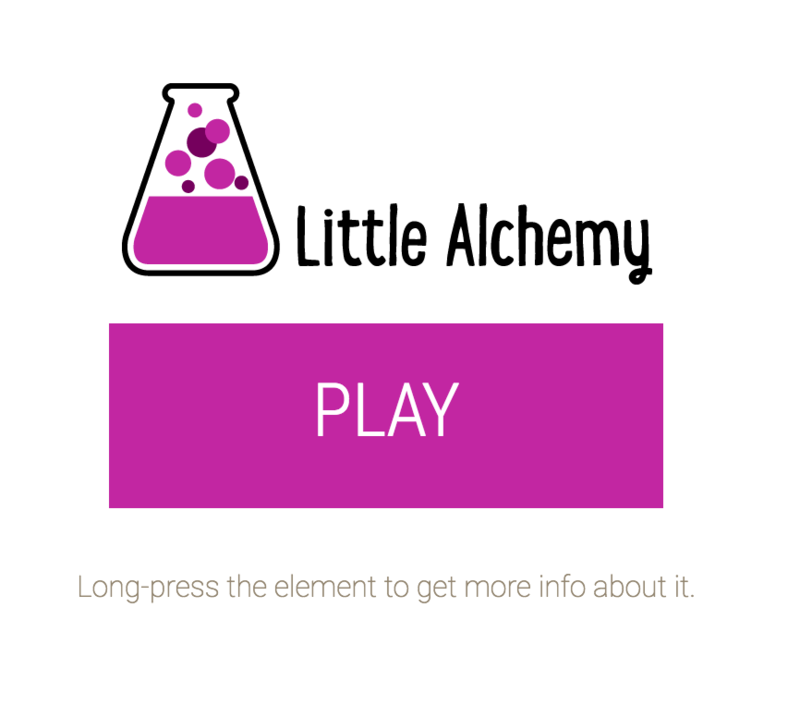 Despite being categorized primarily as a puzzle game, Little Alchemy doesn’t require an intense amount of concentration. You can open the game on your computer or mobile phone, unlock a bunch of elements within a couple of minutes, and quit. This type of gameplay is ideal for casual gamers. There’s no need to read instructions, learn complicated controls, and wait to join a room. This is a solo game that runs at your own pace. As a mad scientist, the entire universe is at your fingertips. Little Alchemy gives you the chance to create basic materials, like brick, metal, and stone. As you progress, you can form weapons, such as blades, guns, and lightsabers. The more peaceful parts of the virtual world are filled with beaches, positive energy, and sunlight. With well over 500 elements, the possibilities go on and on. That may seem like an overwhelming amount of content, but the high element count results in a much deeper, longer lasting experience than other casual games. d otherworldly things. We haven’t mentioned the advanced elements, because there are many fun surprises for players. 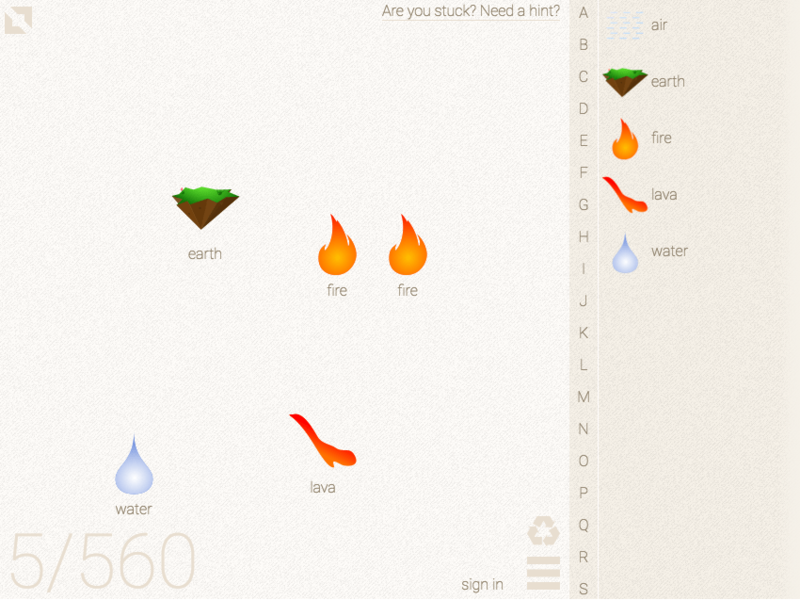 Take the time to experiment with Little Alchemy game on Poki, and you will definitely enjoy the results.